The certificates each retail at £40, or licences are free as part of our membership packages. ECIS are proud to be a core member of the International Task Force, with the International Centre for Missing and Exploited Children (ICMEC) focusing on this important subject. Explore how ICMEC and the International Task Force on Child Protection are working to provide essential school resources via their education portal. ECIS Child Protection Certificates are aligned to the enhanced Child Protection Standards. To identify which accreditation and inspection agencies have adopted the enhanced Child Protection Standards you can visit the ICMEC report here. The content and legislation highlights have been developed by Farrer and Co, an independent law firm, and their Safeguarding Unit. At ECIS, we believe that establishing a successful “safeguarding culture” in a school results from professional learning that includes everyone who works in or for a school — from teaching staff through school leadership and governing stakeholders. Understanding and applying the best safeguarding practices and behaviours is not for teachers alone; nor is it for school leaders alone, nor for trustees or governors alone. A vibrant and effective child safeguarding culture is a community responsibility. Each group of stakeholders must feel confident that all adults in the system are playing a vital role in ensuring a safeguarding culture. Our certificate programme in child safeguarding is designed, therefore, around this principle of community responsibility. As a participant in our programme, you will learn how the recruitment and on-boarding of new staff, the creation and implementation of policies and procedures, and the oversight of school leadership and the associated governing body are interconnected and mutually-reinforcing areas of building a safeguarding culture. We assess your understanding with case studies throughout the module because we want to ensure that, no matter how you identify yourself as a stakeholder in your community, you understand how the pieces are connected, so that you may rest assured that your school is building the best child safeguarding culture that it can. 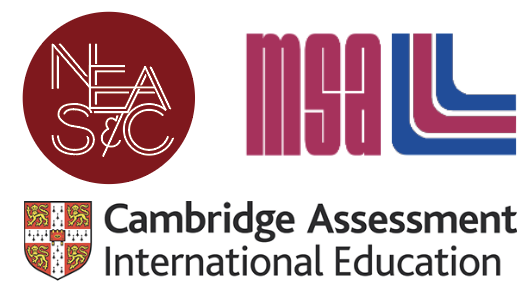 NEASC, MSA, and Cambridge Assessment International Education recognise completion of the ECIS Child Protection Certificate as evidence of alignment with accreditation standards around child protection, health, and safety. As a participant in our programme, you will learn how the recruitment and on-boarding of new staff, the creation and implementation of policies and procedures, and the oversight of school leadership and the associated governing body are interconnected and mutually-reinforcing areas of building a safeguarding culture. We assess your understanding with case studies throughout the module because we want to ensure that, no matter how you identify yourself as a stakeholder in your community, you understand how the pieces are connected, so that you may rest assured that your school is building the best child safeguarding culture that it can. The certificates each retail at £40, or licences are free as part of our membership packages. Become a member.